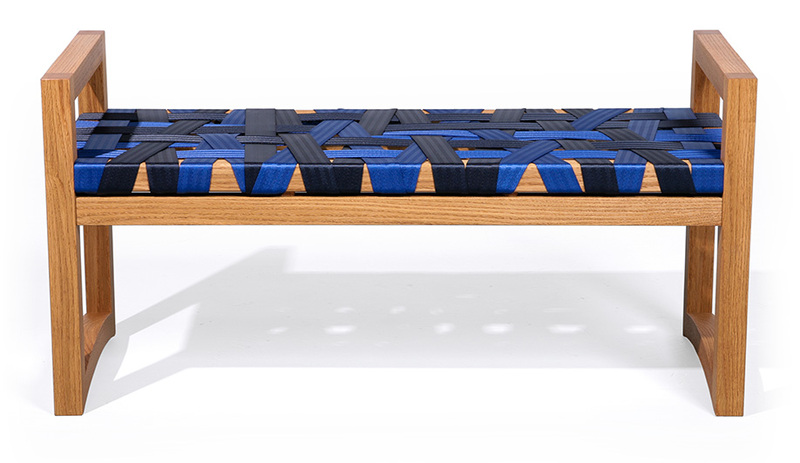 The crisscrossing, two-toned webbing of this bench’s seat provides a graphic foil to the sophisticated oiled oak frame. Made in Ottawa, it’s available in a number of colours and materials. A Toronto design firm well known for its handmade rugs and carpets, Creative Matters introduces its collection of wall coverings. 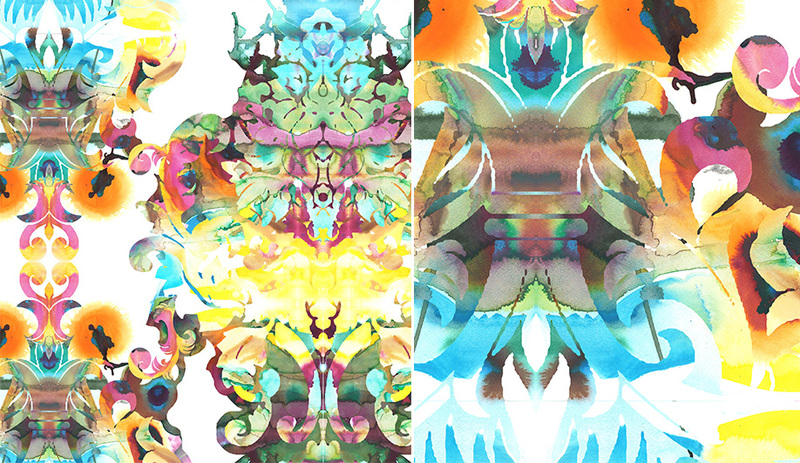 Its 12 inkjet patterns are made of vinyl or matte PVC-free paper using eco-friendly solvent inks. 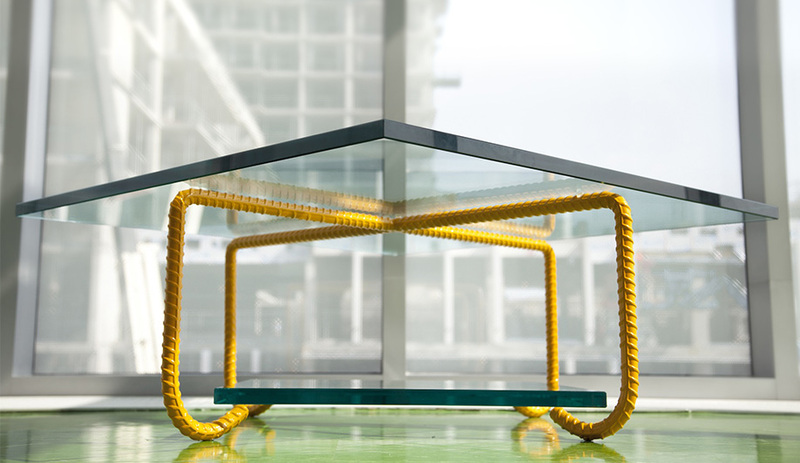 A fixture in Toronto’s design community, Sabine’s known for reinventing familiar objects and experimenting with materials. 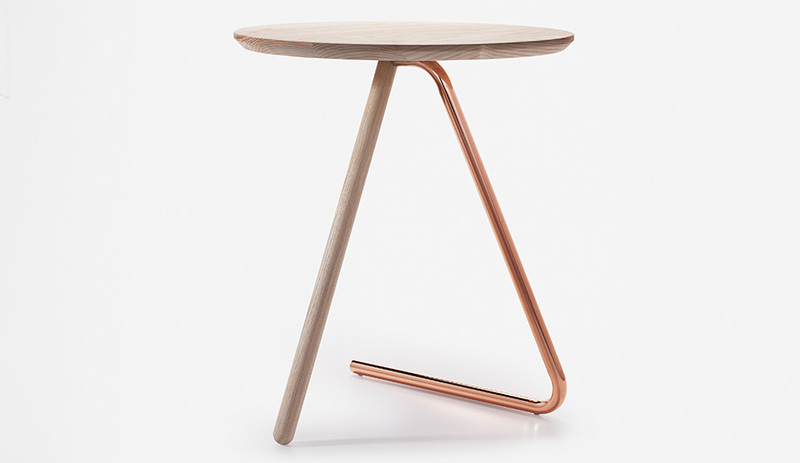 His side table in smooth ash makes do with just two legs; the one in bent steel tube supports two-thirds of the table’s weight. A young studio in Quebec City, Six Point Un returns to Studio North with a fresh collection of hardwood and powder-coated steel home furnishings. 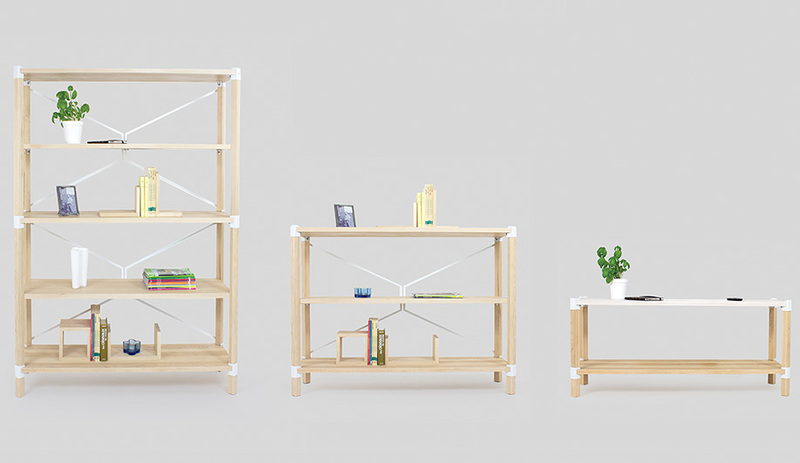 This modular shelving system – which comes in various sizes and heights and can be stacked or joined horizontally – was introduced last year as a prototype and is now in production. A design and construction professional in Toronto, Smith is clearly inspired by the city’s built environment. 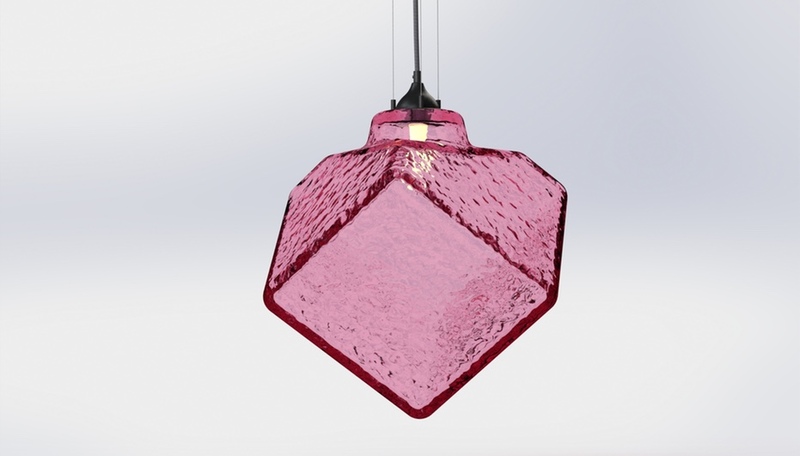 Plate glass, which can be positioned in diamond and rectangular formations, rests atop curved one-inch, powder-coated re-bar. Based in Toronto, Keeler has sharpened his skills working with the likes of Rich Brilliant Willing and Stephen Burks in New York. 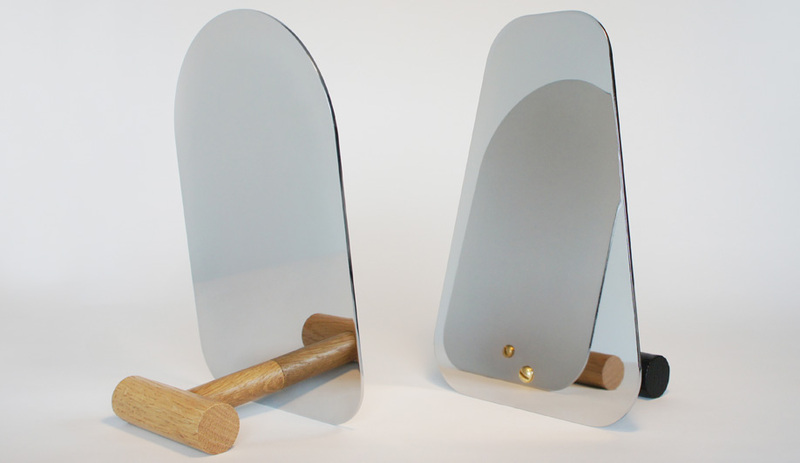 Here he introduces a fresh take on the archetypical hand mirror with a tabletop model in chrome-plated steel supported by a brass arm. 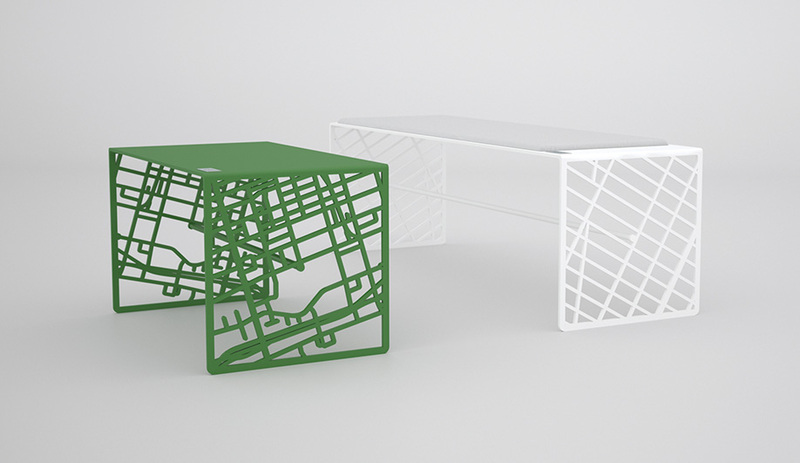 Hailing from Halifax, Ramsay launches his series of benches and coffee tables made from a single bent sheet of metal, the legs laser-cut with aerial views of a North American or European city map. In multiple powder-coated colours to choose from, including red and black, Ramsay can customize the maps to reflect any address. Asymmetrical and tilted, Jamal’s three-piece set stacks in an artistic composition. 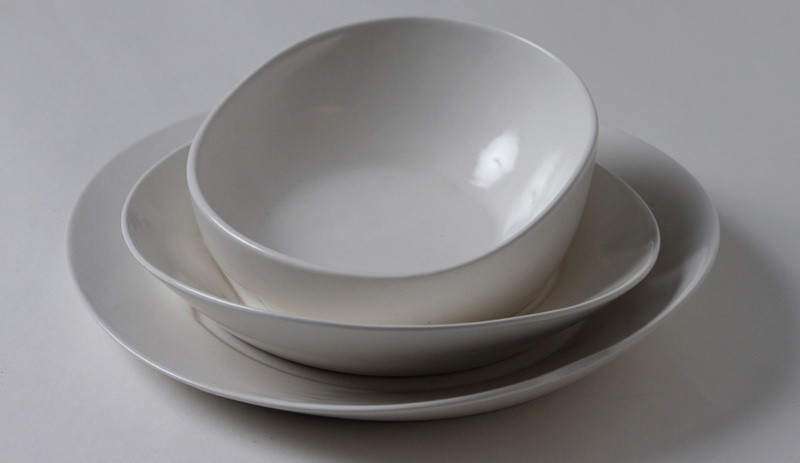 Designed in Toronto, the earthenware plates and bowl are slip cast and glazed by hand. They are dishwasher and microwave-safe. 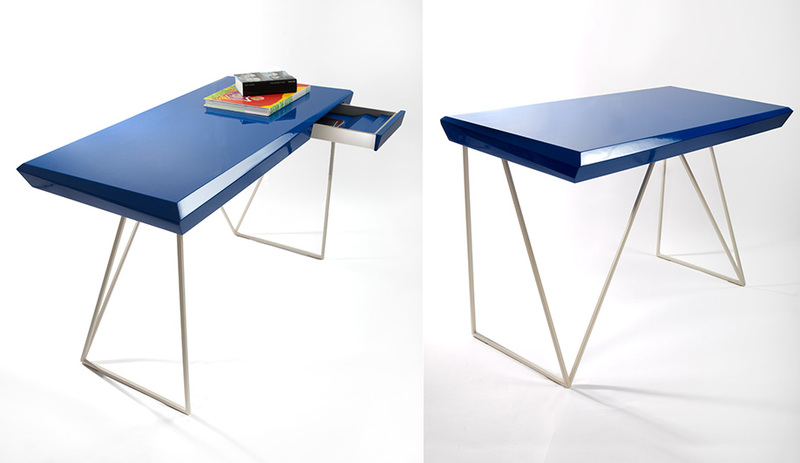 Its beveled edges and off-centre drawer lend this compact desk a faceted-stone effect. 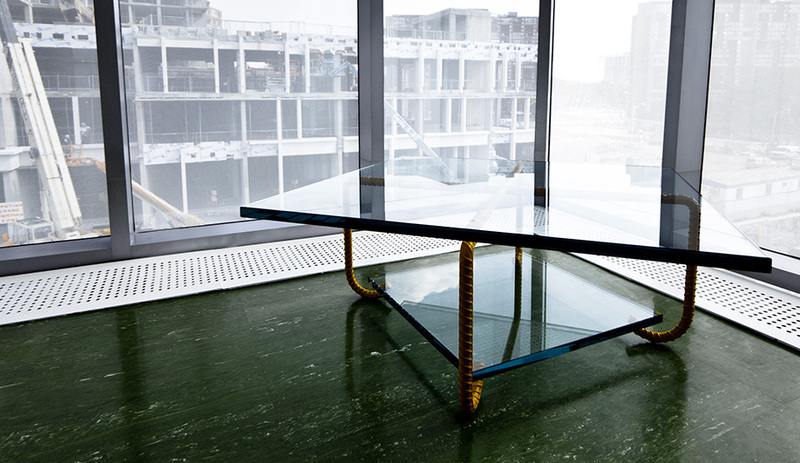 Set atop a tubular-steel base, the handcrafted work surface is made from 100 per cent post-industrial wood fibre finished in a glossy, VOC-free lacquer. 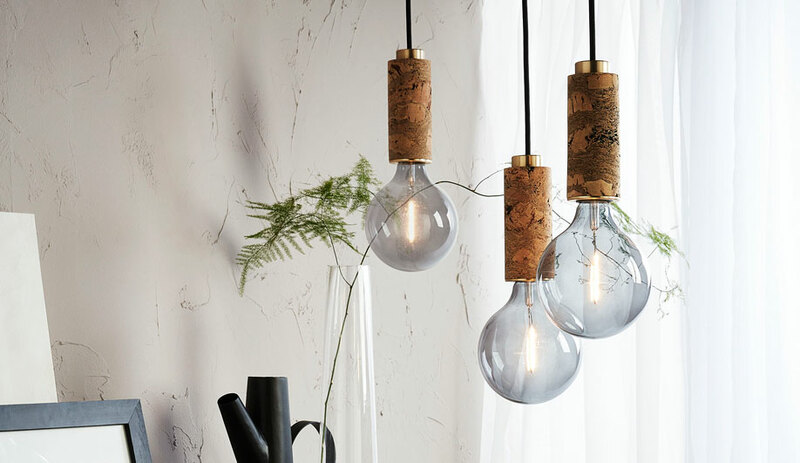 Inspired by the classic wooden ring toy, Ottawa’s McDonald mixes a single wooden dowel with various metal components to create a versatile home accessory. 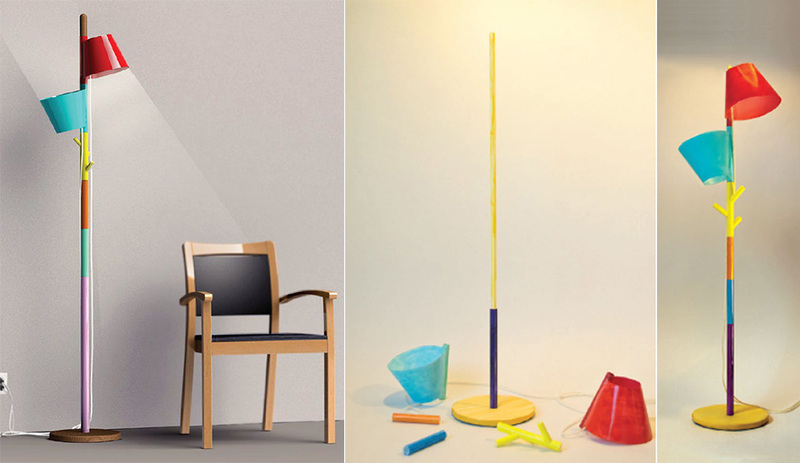 Add a shade and Stacking becomes a table or floor lamp; add the branch-like piece and it’s also a coat rack.